Catamold powder injection molding is the leading ready-to-use feedstock for metal and ceramic injection molding. Our comprehensive product line consists of metal and ceramic powders compounded with tailor-made binding agents. 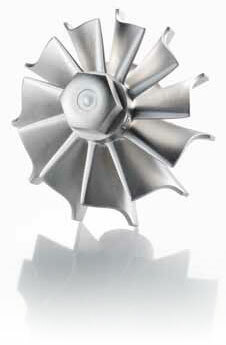 Catamold powder injection molding enables the economic production of geometrically sophisticated metallic components. Catamold powder injection molding gives designers and users maximum freedom in terms of component design. Instead of achieving functions by joining several parts together, with injection molding, the functions integration is achieved with a single part. Because the Catamold powder injection molding process uses micron-size powder, it is possible to achieve a final density of 96%–100% depending on the alloy and component design. This high density, combined with the homogeneous material structure across the cross-section of the component, yields superior mechanical and magnetic properties and excellent corrosion resistance. In many cases, the surface quality of components made with Catamold is such that no finishing is required. ​Catamold powder injection molding consists of a wide range of alloys available around the globe. Our product range comprises typical material groups including low-alloy and stainless steels, tool steels, superalloys and oxide ceramics. More information on the grades available of our Catamold product line can be found on http://www.basf.de/catamold.